In honor of Veterans Day, I’m posting “Words, War, Worry,” an essay I wrote honoring our servicemen and women and the mothers who love them and fret over their safety. I think it’s apropos to re-post this article on November 9th because it originally appeared exactly fourteen years ago today on the front page of the Chicago Tribune’s Perspective section. Thanks to Charles Madigan, then editor of Perspective, for choosing my essay to accompany a visual array honoring those American soldiers most-recently killed at that time in the Iraq/Afghanistan War. ON THIS VETERANS DAY, thousands of mothers are aching with worry about their sons and daughters in uniform in foreign lands. Newspapers display photos of trained and tough young men and women, but the mothers know it was just yesterday that they held these warriors as children, cooked them a favorite meal, nurtured them through illness, advised them through troubles, and kissed away their sorrows. It was no different for my Romanian immigrant grandmother 60 years ago. 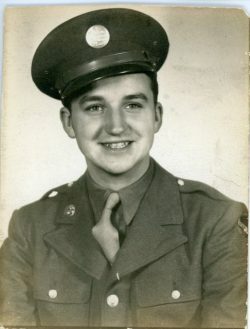 Her youngest son, my father’s kid brother, 19-year-old Frank Gartz, was stationed at Stevens Point, Wis., with the 97th College Training Detachment of the Army Air Forces. A year later, in 1944, he would be sent to Italy as a navigator, flying bombing missions in the last year of World War II. Unable to “be there” for her child, my grandmother poured all the mothering she could muster into her letters, which remained boxed and buried in the dusty corners of basements and attics for decades. After my mother’s death in 1994, they came to rest in my garage for nine years until, finally, a nagging inner voice drove me to bring them to the light of day. These long-ignored letters concealed insights into another era and, most important to me, into my grandmother’s mind. 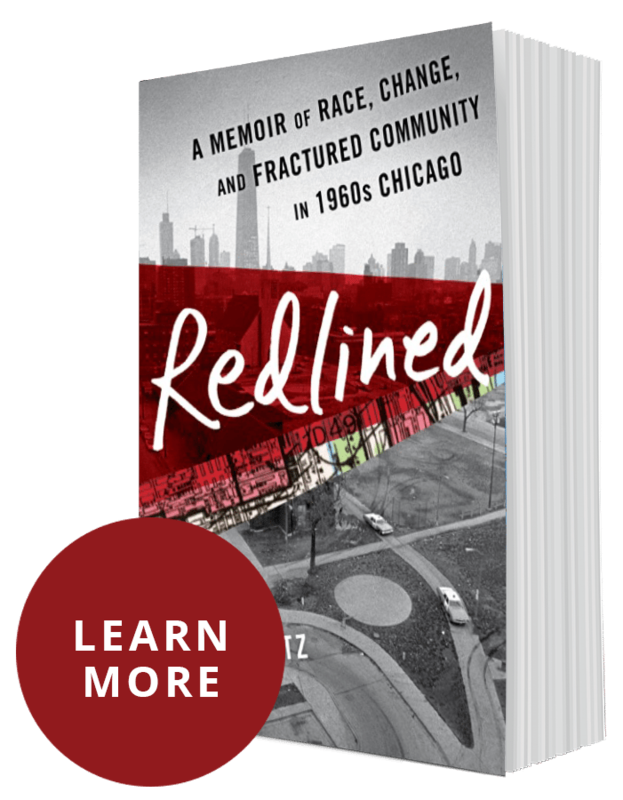 If they had been left unread, old family myths would have persisted, and a side to my grandmother’s personality would have remained unknown to me. 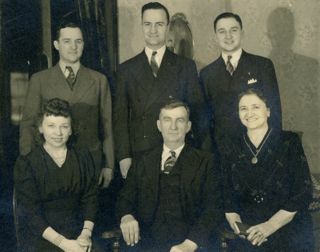 Gartz family photo, Jan. 1943, two weeks before Frank was drafted. L-R, standing: Dad (Fred), Will, Frank. Seated: Mom (Lil), Grandpa (Josef), Grandma (Elisabeth). I remember Elizabeth Gartz as a hardworking, no-nonsense woman, long on will power but short on compassion. That last impression melted when I began reading her heartfelt letters to her son, whom she called by his middle name, Ebner. They are all the more poignant because she had to write them in a foreign language– English. My grandmother was from Romania, but she was an ethnic German, and that was her native tongue. During World War II, it wouldn’t have done for a young American soldier to receive communication in German. More than likely, it would have jeopardized his standing, and perhaps even cast suspicion on his loyalty. Frank asked his mother to write to him in English. 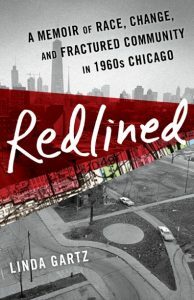 After spending a long, hard day working with my grandfather in the many buildings they took care of as janitors on Chicago’s West Side, my grandmother would sit down, usually late at night, with a German-English dictionary by her side, struggling to put into words what was in her heart and mind. One of her letters was written exactly 60 years ago this Veterans Day, on Nov. 11, 1943, then called Armistice Day. Despite the letter’s tortured syntax and misspellings of English written with a foreign accent, her devotion illuminates every page. 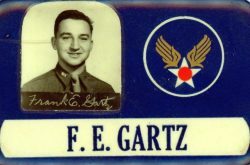 Lt. Frank Ebner Gartz, B-17 navigator, 1944. I see my grandmother’s letters as a kind of nurturing talisman, her desperate attempt to ward off the twin demons of fear and helplessness that stalk all parents whose children are in harm’s way. Six decades later, mothers are still sending their soldier sons and daughters letters–and now, email [and texts]–filled with family and neighborhood news, encouragement, advice, love and prayer. Each holds the ardent hope that if mom can’t give “hands-on” care, perhaps these missives of mothering will keep danger and hostility at bay. 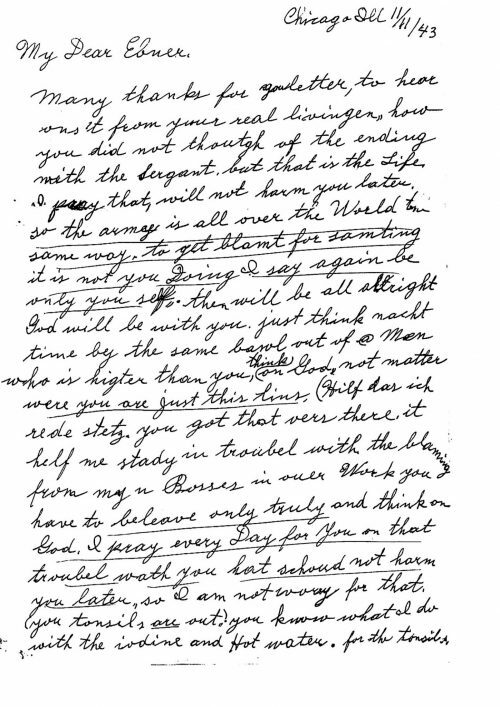 Below the Redlined image is the first page of a xeroxed copy of my grandmother’s letter. The underlinings are mine. Hoo boy, this is late, but I wanted to thank you for your comment and your understanding that many have no choice when it comes to war. My best friend’s father-in-law was in the German Luftwaffe. What could he do when he lived in Germany? He came to the United States after the war, became a citizen, and was the kindest, gentlest man- especially with kids. You never know what battle’s others may be fighting, always be kind. Always. Thank you for your comment. You are so right!